1:00 p.m. — A high-pressure ridge is building in behind the low-pressure system that has brought rain and cooler temperatures across most of Alaska the past couple of days. Scattered rain showers are still possible today in the eastern Interior and Alaska Range. Thunderstorms may form along the border and into the Copper River Basin Friday afternoon. But warming and drying has begun in earnest in western and southern Alaska. The high pressure will bring hot, dry, stable weather statewide through most of next week, increasing fire potential, especially in areas of Delta Junction, Tok and the Copper River Basin. Fire personnel on the Seventymile Fire, 10 miles northwest of Eagle, reported one-quarter of an inch of rain fell during one hour early Friday morning. Crews spent Thursday working on hotspots identified by previous infrared reconnaissance flights on the east flank. The Midnight Sun Interagency Hotshot Crew has been released from the fire and demobilization of the rest of the fire is planned for this weekend. Fresh food was delivered Friday to the Fairbanks #1 Type 2 Crew mopping up the Standard Creek Fire west of Fairbanks. Firefighters have gridded a 200-foot wide area of green around the perimeter and found no hot spots. The White Mountain Type 2 Initial Attack Crew was demobilized Friday and backhaul operations of equipment area underway. 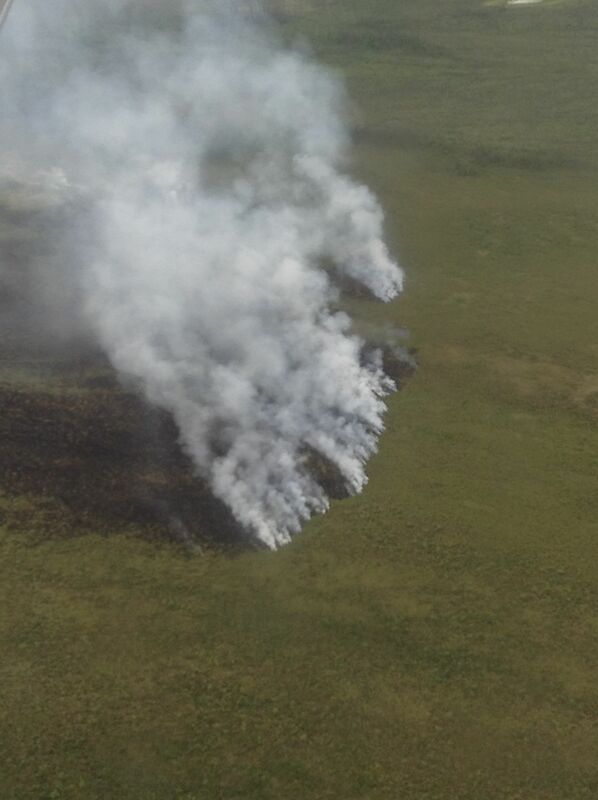 A reconnaissance flight Friday of the Chisana River 2 Fire reported a light rain falling on the estimated 9,000-acre fire that was started by lightning on June 9. It is approximately 20 miles south of the Alaska Highway and about 25 miles west of the Canadian border. The perimeter was 60% active and on the north end was backing through the old Stuver Creek burn area. The fire started in the Wrangell-St. Elias National Park and Preserve and has grown into the neighboring Tetlin National Wildlife Refuge. Structure protection is in place for a Tetlin refuge administrative cabin near the fire. The fire will be allowed to run its natural course and will continue to be monitored by air to document fire behavior and to map the fire’s growth. In Alaska, fire is a reoccurring, significant and natural process in the boreal ecosystem of Interior Alaska. It restores ecosystem health and helps to maintain species diversity. Smoke will be visible from the Beaver Creek area and along the Alaska Highway. The highway remains open and there has been no interference with traffic and none is expected at this time. Smoke rises from the 9,000-acre Chisana River 2 Fire burning in the Wrangell-St. Elias National Park and Preserve and the Tetlin National Wildlife Refuge in this photo taken Thursday, June 11, 2015. 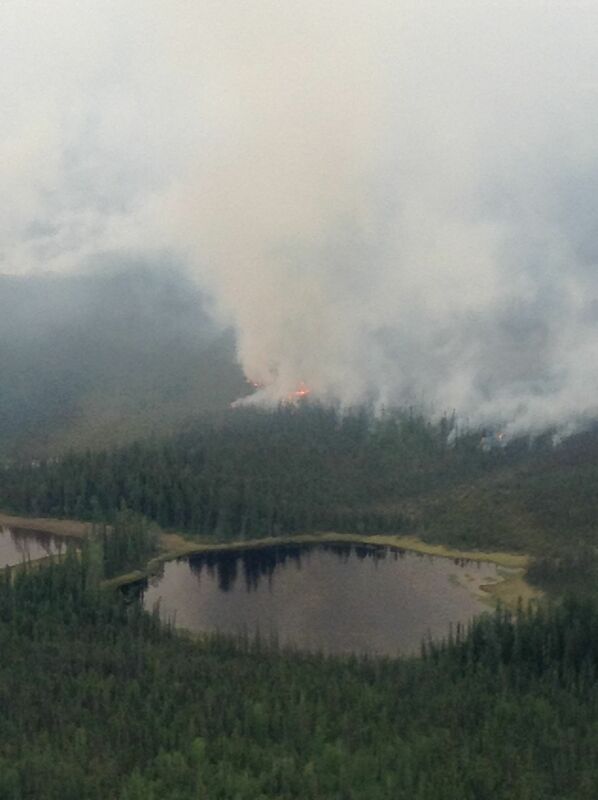 The fire is approximately 20 miles south of the Alaska Highway and about 25 miles west of the Canadian border. Alaska Division of Forestry photo.